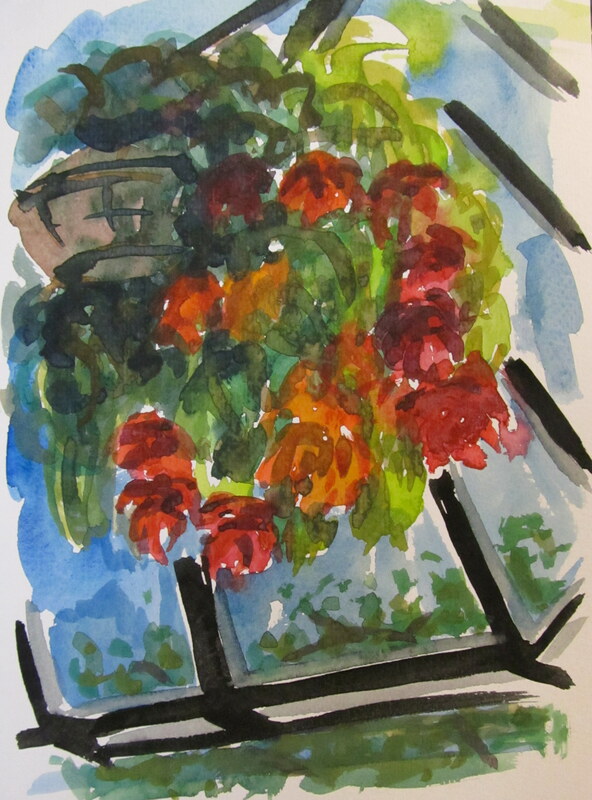 Watercolour Wednesday — Hanging Flower Planter (again). Fellow Drawing Club member Marie was taking photos of flowers and she took one of me working that I love so here is her photo of me doing the painting. ← Watercolour Wednesday — Kiddie Pool. Yeah, downtown Calgary is pretty awesome. Thanks Marie! And yes, we should see if we can do at least one more outdoor session before fall.